Maximum brilliance of color. Fully intermixable and intended for use with dip pen fountain pen technical pen and airbrush. 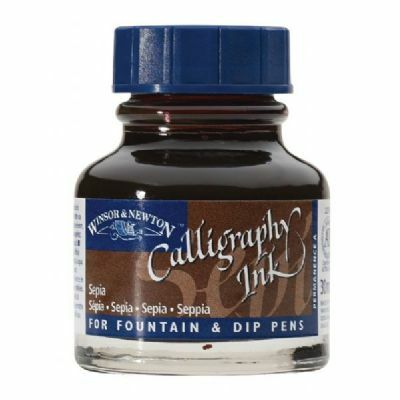 Non-waterproof to ensure no clogging and good flow characteristics when used in fountain or dip pens. Lightfast. 30ml.